Please inquire about our solar installations for any unused land you may have & start selling your energy back to the grid or our lighting swap over for your business as we believe in lowering your energy bills & maintenance costs. We can provide a free survey with a complete energy saving breakdown chart from 1 year to a 10 years. We can help keep the outlay down with a contract of works as this can be done in stages that suits your needs. The government is ready to help with cost up to £7,000 in the aid to help keep our carbon foot print down. Please see below 3 simple ideas to help keep them energy costs down at affordable prices. Conventional incandescent lighting can burn up to 25% of the home electricity budget. LEDs can save between 50% and 90% of the lighting energy costs. Over its lifetime, a traditional lamp costs on average 30 times the original purchase price. LEDs work well in hot and cold environments and can withstand moderate power surges. LEDs do not hot and waste secondary energy. Ultra efficient LEDs are revolutionising the lighting industry by reducing energy use. Learn more about our LED lighting switchover services in Kent and Sussex. Heat pumps are among the most efficient heating hot water systems available today. Approximately 75% of the energy needed for heating comes from the environment. We waste energy every day, so heat recovery is an efficient and cost effective technology to heat our homes. Energy recovery ventilation boasts many benefits. At Coastal Energy we can provide all the information you need for planning, installing and maintaining a PV installation. SolarPV panels are comprised of semi-conductor materials that convert daylight into electricity. They come in many shapes and sizes to suit and fit your home or business. The energy collected is converted into AC electricity and fed back to your consumer unit, or you can even sell it back to the national grid. We work on eco-innovation new builds projects for homeowners and contractors installing heat recovery systems, tougher more reliable built-in PV and thermal solar systems which help make your home more sustainable for the future. We can provide a maintenance contract to ensure your PV Solar systems are working at 100%. Renewable energy is becoming an ever more affordable and achievable option. 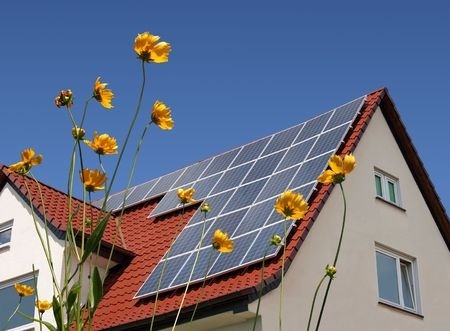 Learn more about our Solar Panel Installation and Maintenance services. Lets start saving money & lowering our carbon footprint at home & in our work place. For further information renewable energy installations for your home or office, in Kent, Sussex and London, call Coastal Energy in Dover today on 01303 729729.